The Tenure and Global Climate Change project in Ghana implemented elements from The Analytical Framework for Land-Based Investments in African Agriculture. In Ghana, the project sought to address land tenure risks facing Hershey Corporation and their cocoa supplier ECOM’s production. Specifically, the project supported a participatory mapping process, as well as co-management and rehabilitation of cocoa farms. Additionally, the project sought to reduce pressures on cocoa producers who have historically expanded their farms into forested areas when cocoa trees become less productive. Ghana is the world’s third largest cocoa producer. However, unclear rules between farmers and customary landowners as to who has the right to replant trees has led to insecure land rights. This is considered a primary reason for why farmers are not rehabilitating their cocoa crops and has taken a toll on the country’s cocoa production since the 1990s. According to the Ghana Land Commission, an estimated two percent of farmland in the country is formally documented and registered. The rest is accessed through a complex web of agreements between customary officials and farmers. Up to 90 percent of cocoa in Ghana is produced by family farms. Tenant farmers agree to clear the land and plant cocoa trees. In return, the tenant receives half of the newly cleared and planted land once the trees mature. 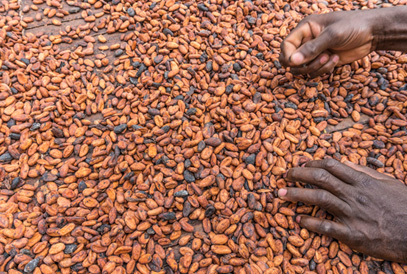 A landlord will then provide investments in the land and additional labor, while retaining the right to reclaim the land when it is not actively used for cocoa. Some landlords argue that if a tenant farmer replaces old and diseased cocoa trees, then they forfeit their rights to the land and must renegotiate the terms of the tenancy. However, tenant farmers argue that their rights include replacing old and diseased cocoa trees. This disagreement produces an impasse, underming cocoa yields and putting pressure on farmers to clear forests for cocoa production rather than rehabilitating the land. Indeed, ever since cocoa arrived in Ghana 140 years ago, it has been a key driver of deforestation. A study by Hershey Chocolate found that 96 percent of their farmers in Ghana rely on trees that are diseased or so old that they are well-past their productive years. This has led to a sharp decline in their yields and farmers’ abilities to earn a living. Few can afford the cost of rehabilitating a cocoa farm. The farmers who have the means to rehabilitate worry about losing their land and are less likely to invest in long-term improvements. But foregoing such improvements can often trap farmers in poverty and leaves chocolate companies without a reliable supply chain. In this environment, farmers hold their land tenuously. This is particularly true in areas with population increases or large-scale land-based investments. This lack of security has long term consequences for how farmers work their land and for the cocoa sector at large. The project came out of the interests of Hershey’s, ECOM and USAID to marry the needs of the cocoa sector with those of family farmers in a supply chain that encourages forest conservation and is able to produce cocoa far into the future. With an understanding of the challenges that cocoa farmers’ face, the project has worked to strengthen their land rights and help finance the costly rehabilitation of farms. 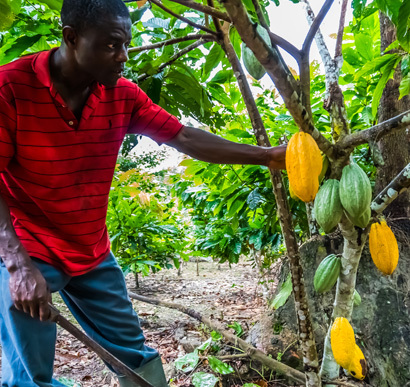 Financially and technically assisted farmers to cut old trees and replace them with more productive cocoa seedlings and other cash crops to improve farmers’ household income and food security. These activities were designed to help cocoa farmers overcome the challenges that have prevented them from rehabilitating cocoa farms and to use secure documented land rights as a catalyst to increase cocoa yields, improve the livelihoods of farmers and reduce deforestation pressures. Mary Avoka is a mother of six. 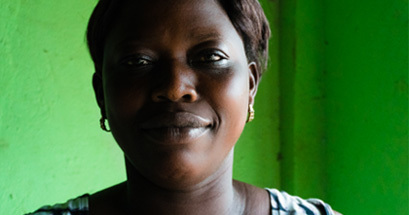 She works two cocoa farms with her husband. On one of her farms, the cocoa trees are plagued with disease. Mary and her husband feared that if they invested in rehabilitating their farm, the newly improved land would be taken from them. Mary’s farm was mapped by the USAID Responsible Investment Project. She hopes this will provide her family the security they need to begin to make improvements. The project outcomes show that secure land and tree tenure can benefit local communities and investors. For Hershey’s and ECOM, the project provided a way to directly engage with communities and customary officials at the local level to secure land rights. 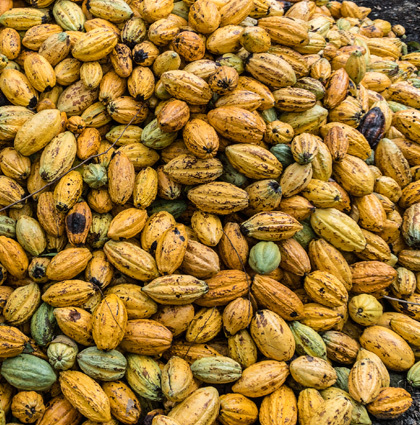 ECOM is able to encourage farm rehabilitation that will secure higher yields of cocoa over time and develop a stronger supply chain for Hershey’s. 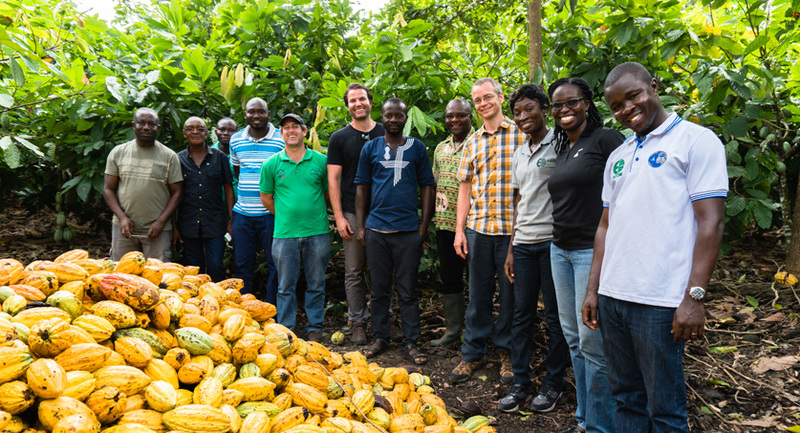 The project can also help both the government of Ghana and Hershey’s to meet their sustainability goals by reducing deforestation pressures in the cocoa sector. 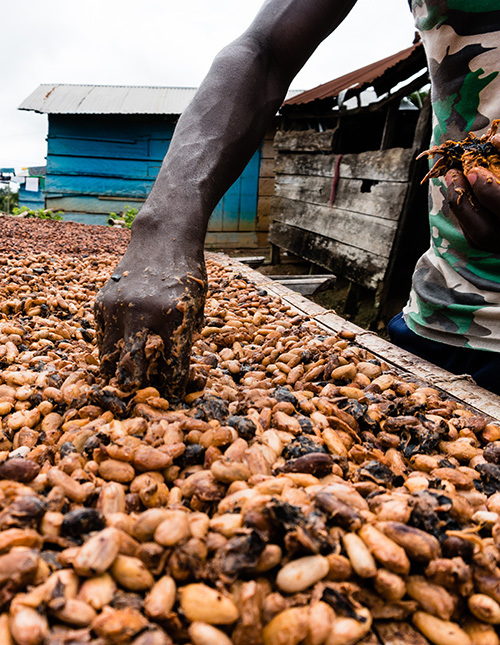 For local communities, the project addressed two key challenges that had discouraged cocoa farmers from investing in their farms to improve their harvests: insecure land rights and access to capital. By removing these hurdles, farmers are more likely to invest in their existing farm and boost their yield without cutting down the forest. 92 percent of farmers who received documentation through the project thought it was worthwhile. The project helped farmers to improve their understanding of cocoa farming techniques in order to increase productivity. And to improve household incomes, the project helped farmers to diversify their cash crops instead of relying almost exclusively on cocoa. Lessons learned from this project combined with best practices from the Analytical Framework for Responsible Land-Based Agricultural Investments can provide corporations with a powerful tool to meet sustainability commitments and implement international guidelines for responsible investment. What’s more, this project demonstrates that companies can respect and strengthen land and resource tenure rights, a consideration that may not have been a part of their manageable interest previously. Risks can be mitigated, governance strengthened and sustainability achieved. This project has illustrated how USAID is transforming the traditional donor-recipient aid model with one in which USAID acts as a development catalyst. It also has demonstrated how USAID partners with the private sector, civil society and other local actors to accelerate the journey to prosperity. The private sector does not need to forgo investments in emerging markets because of risks associated with weak land tenure systems. Guidelines and implementing tools can help corporate actors navigate riskier climates. Investors and corporations can partner with communities to strengthen land rights, even in the absence of national government partnership, as a first step toward creating sustainable and mutually beneficial long-term investments. 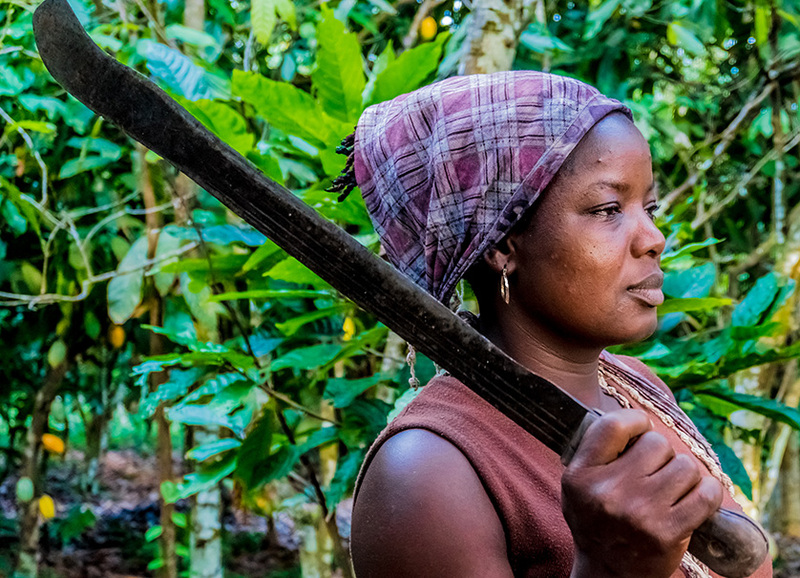 While the project’s impact on deforestation will not be known for years to come, it did help demonstrate that community-based natural resource management can reduce pressures on farmers to encroach on nearby forested land. This could help to bring about forest regrowth. The project also improved communities’ awareness of the importance of shade trees and forest coverage, which will help make their cocoa crops be more sustainable. Through the project activities, USAID and partners are using innovative solutions to mitigate land-based risks for both investors and communities and to achieve responsible investments that bring long-term and robust benefits.